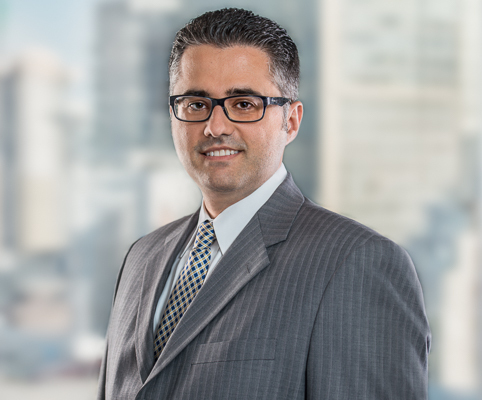 Demetrios Yiokaris’ practice includes professional negligence, coverage disputes, pension litigation, disability coverage disputes, shareholder and partnership disputes, transportation, maritime, and real estate litigation. He also has significant experience in bankruptcy and restructuring matters with an emphasis in advising labour unions, pensioners, and employees. Demetrios has extensive motion and trial experience in a variety of courts and tribunals, which have resulted in over seventy reported decisions. He has appeared before the Supreme Court of Canada, various provincial trial division courts (Ontario, British Columbia, Nova Scotia, Quebec, Alberta, and the Federal Court of Canada), various appellate courts (Ontario, British Columbia, Nova Scotia, Newfoundland, and the Federal Court of Canada), and in major private arbitrations. In addition to English, Demetrios speaks Greek, basic French and basic Cantonese. Monk vs. Farmers and Muskoka Ins. Secunda Marine Services Ltd. v. Liberty Mutual Insurance Co.
Brine Lake Products Ltd. v. Schenker of Canada Ltd.